I was nervous about getting my wisdom teeth out but Dr. Thomas Thanh Tieu did an excellent job and I didn’tfeel any real discomfort at all. I was nervous about getting my wisdom teeth out but Dr. Thomas Thanh Tieu did an excellent job and I didn’t feel any real discomfort at all. 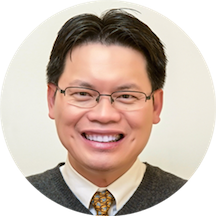 Thomas Tieu is an experienced and dedicated dentist treating his patients in Portland. Dr. Tieu is a member of the American Dental Association and the Oregon Dental Association. He attended the University of Pennsylvania to receive his medical education. He then completed his internship at the Washington University at St. Louis. Dr. Tieu welcomes patients who are experiencing broken teeth, dental emergencies, and require root canals. He provides services such as crowns, bridges, tooth extractions, dental cleanings, dental implants, as well as new patient exams. Dr. Tieu’s goals as a dental provider are to help his patients feel as comfortable as possible during their visit, perform procedures that inspire his patients to smile after they leave the chair, care for his patients’ oral well-being, and to earn a happy and healthy patients. I really enjoyed my first visit . excellent staff and facility , very clean and up to date . My visit was honestly the best dental experience I've had so far in my life. Everyone there was extremely kind and professional, Dr Tieu thoroughly explained the state of my teeth to me, and the hygienists did an excellent job. I'mdefinitely returning and will hopefully not have to find another dental provider in the foreseeable future. Very professional and friendly staff. Well organized. Would recommend to anyone looking for a clean, professional, dentist office. Fantastic! Yes there was a wait, but that's preknown. They checked me out, set up a follow up appointment, and gave me a quote of the final out of pocket estimate after insurance. Very helpful and I look forward to going back! It was my first time in the office - it was pleasant from reception, x-rays and other fact finding procedures, cleaning and finally making another appointment and checking on insurance. Thomas Tieu was the best dentist I've been to as an adult. I messed up the time of my appointment and his staff was amazing and still managed to get my painful cracked tooth removed. Could not recommend him more!! Staff was very pleasant, love them! Office looks amazing and very clean. He offers more services now making it convenient for that one stop shop. I don't have to go to a specialist for implants. Everyone was great and made me feel welcome! Dr. Thomas and his staff are so professional and friendly. I always have a good visit. I would recommend this team and actually do to people I know. My sister and niece also see Dr. Thomas. very kind, and concise. polite too! Dr. Tieu is an awesome dentist. He is relaxed, yet effective, gentle, calm, informative and emphatic. The office staff is friendly and supportive. I would highly recommend him for anyone. Dr. Tieu is very quick, knowledgeable, and good. His hygienist is super thorough and did a fantastic job cleaning my teeth. Just what I needed! The office staff did a very nice job making sure the services rendered could be billed to my insurance. Thank you everyone! Dr. Tieu and his staff are great! Dr Tieu is the best. Won't go to anyone else. Office staff is great too. Him and his staff are fantastic! The reception are so friendly and kind, as well as the dental hygienist. They are so accommodating and I feel totally confident that he will be my dentist from now on...even though it's a bit of a drive from my home. Staff and Dr. we're great....eased my fears. Incredibly patient and explained every step. Making Dr. Tieu my official dentist. Dr Tieu is a very caring dentist. He has a lot of patience and will give you time to breathe if you need it. His male dental assistant was also nice and the front desk ladies are as well. Very prompt and efficient staff on getting me in last minute. Dr. Tieu is always so kind and courteous. It was a great first time vistit. I will be continuing care there for myself and my family. Excellent service. Friendly staff and good vibes. Dr. Tieu has a professional yet relaxed feel, which makes for a great doctor in the dental field. The staff is very friendly and nice. Wait time isn't always long, but sometimes can be a wait. Usually is understandable when goingto the dentist. Overall a wonderful doctor and a few of my family members go to him too. Love the place everybody was soooo kind and helpful so GLAD to find them IT MEANT TO BE. DR.THOMAS(Thanh)Tieu LIKED him very much very understanding. Will bring my family with me in future to see him. Dr Tieu is amazing in his quality of care. While some patients prefer a dentist who engage in chit chat small talk, I prefer my dentist to be warm, competent & efficient. That was my experience with Dr Tieu & hisstaff. They are so thorough and helpful. My procedure was gentle, pain free & my pain is gone. I'm glad I found this office & highly recommend Dr Tieu & his friendly team. I have been going to Kaiser all my life and recently had to make a decision to find a new dentist. My family and best friend highly recommended Dentist Thomas Tieu. I was really nervous, but him and the whole staffmade me feel really welcome and at ease. I am happy with the switch and definitely a great recommendation! The office staff was friendly and kind and thanked me repeatedly for being so thorough with my information (it was already all saved by ZocDoc). They saw me with less than a day's notice because I had broken a molar andcleaned my teeth, took x-rays and it didn't cost me anything. Dr. Tieu was the only dentist in the area open on Saturday and I was in immediate need of care. I ended up having an infection from a root canal and crown I had done a few years back that wasincredibly painful. The doctor saw me Saturday morning and removed the tooth after the x-rays confirmed the infection. Dr. Tieu was knowledgeable and well spoken, and super patient with me as I asked a lot of questions. I really couldn't have been happier with a dentist or the level of care. I live downtown, but would happily make the drive to have him as my regular dentist. He and his staff were accommodating and professional. I needed to repair a tooth and was able to make an appointment within 30 minutes. He worked quickly and was friendly as was the entire staff. I went for 2 extractions.I was called back fairly quickly after turning in new patient forms. Male assistant was okay. Got one x-ray. Dr.Tieu was okay, not wonderful, but definitely okay. He numbed me after looking at my teeth. The firsttooth was was pulled out okay and I was happy. The 2nd tooth felt like the novacaine completely missed. I made him stop. He did. He did work without one of those blocks-which is helpful for my tmj. I had no problems scheduling through Zocdoc. I called the day before to confirm just to be on the safe side. While Parkrose wouldn't be my first choice, He was definitely okay. The doctor and his staff are excellent and so professional and personable. Dr. Tieu is very attentive to any situation and very much appreciated coming from a patient that is more than apprehensive about going to dentist offices. I was surprised at how available their appointments were, and that I was seen right away. Dr Thanh Tieu made me feel comfortable, and confident as he explained in detail the work that would need to be done, and the reasoningbehind it. He spent a reasonable amount of time with me during my appointment, and I look forward to returning. Real friendly staff, I've not been to the dentist for along time so I was expecting some unwanted feedback, but DMD Tieu treated me with kindness and compassion and was quick to begin treatment, I hope I've found my New Dentistif he will have me . Thank you ZocDoc for your help ! Amazing dental office. Very experienced dentist. Awesomely competent staff. Two previous offices were unable to detect and resolve my pains. I researched for a credible Dentist and Dr. Tieu's reviews were astounding. Dr. Tieu found a fillingthat fell out that other dentists missed plus my pains are gone. And to my surprise, their fees are even lower than other dental offices. Thank you to Dr. Tieu and his Parkrose Dental staff, especially Raquel and Brenda who were very thorough as well. Great doctor! Very attentive staff!